Video | Sqwincher Watch for more info on Sqwincher drinks! 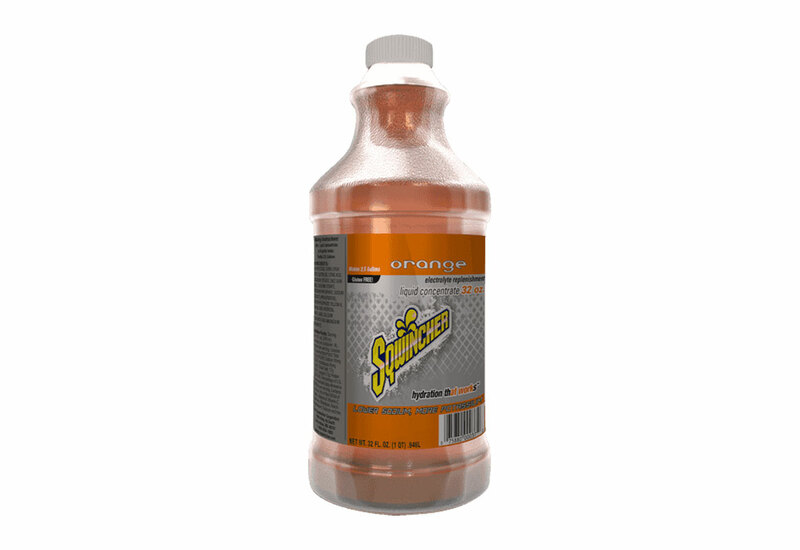 The Dentec Sqwincher 32. oz Hydration Drink Mix is built as a great tasting sports beverage that rehydrates by replacing fluids, minerals, and electrolytes lost when working, exercising and being out in the heat. Made to help prevent dehydration and loss of work due to inadequate hydration. This beverage helps to prevent heat stroke and hypothermia that can be brought on with as little as 10% fluid loss. 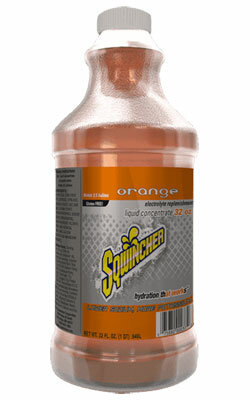 Squincher contains up to 50% MORE potassium and 50% LESS sodium than most electrolyte drinks giving you more of what your body needs while decreasing your thirst. It only takes an 8% loss in fluids to end up causing personal distress such as hallucinations and disorientation and only less than 2% to cause up to 20% loss in productivity. Staying hydrated is key to optimum performance and personal protection! High Fructose Corn Syrup, Water, Dextrose, Citric Acid, Potassium Citrate, Salt, Sodium Citrate, Gum Arabic, Potassium Phosphate, Sodium Benzoate, Sodium Phosphate, Natural and Artificial Flavour, Red 40 or Sunset Yellow FCF, Brominated Vegetable Oil, Calcium Phosphate, Magnesium Carbonate. 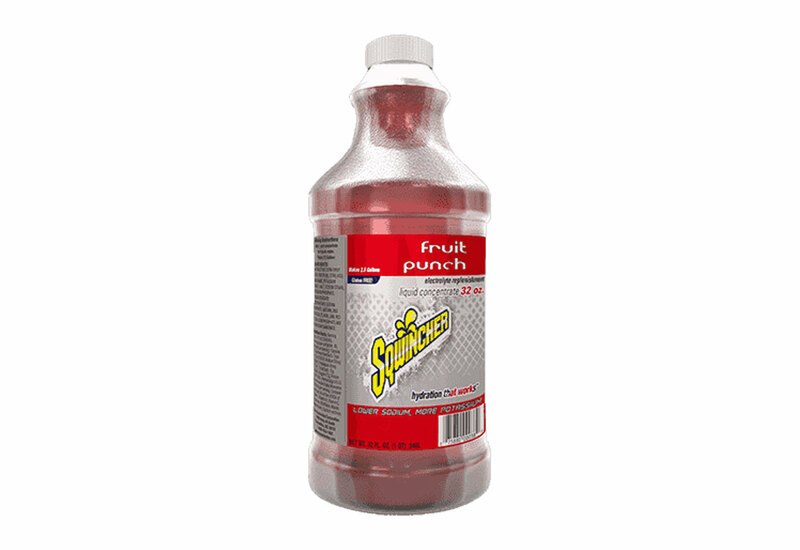 It is recommended to consume 6-10 oz of electrolytes for every 15-20 minutes of strenuous activity! Got it at work. good when working outside, put it in a big cooler jug and we grab it as we go.